trial, dark facts surface concerning the vaccine's discovery by Vaxtek scientist Alan Steinhardt and its alleged theft by St. Gall researcher Lily Warren. Ethical quandaries deepen into mortal danger as the trial, under the stern prodding of federal judge Ellen Farnsworth, rushes to its unexpected end. 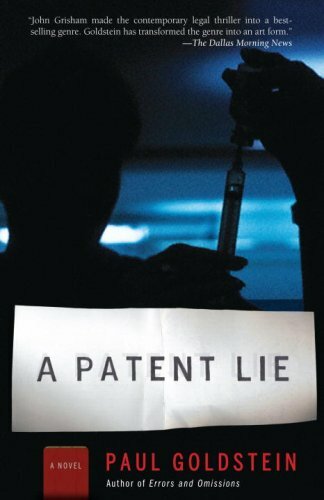 A timely and fascinating look at how the law operates at its most arcane yet financially consequential,A Patent Lieis further evidence that Paul Goldstein is an emerging master of the legal thriller.